The dental restoration that you deserve! 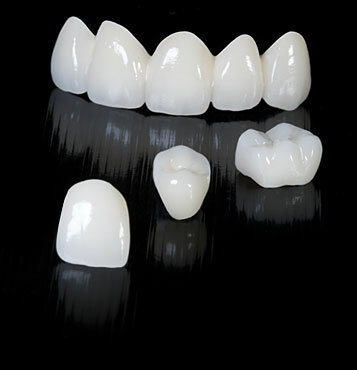 A dental crown is an artificial cap that sits over the top of the tooth, creating a solid surface to protect, cover, seal and strengthen your tooth. Crowns are used in many different scenarios as they are effective and often allow us to save a tooth rather than turning to implants. A dental bridge is used to replace a missing tooth or more, by being attached to the neighbouring teeth of the gap. Being a set of three or more dental crowns stuck together, they get placed on the adjacent teeth, automatically filling the gapped space by artificial teeth. A tooth that has undergone Root Canal Therapy will need a crown to properly seal and protect the tooth. Dr. Olvera at Keele and Finch Dental in North York will evaluate your needs depending on your oral health and the condition of your teeth. He will discuss all your options with you and recommend the dental restoration procedure that is best for your case.